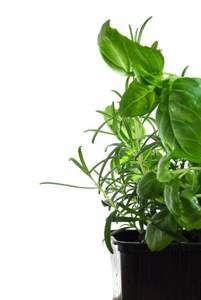 Fresh herbs noticeably enhance your cooking and your health. Herb garden kits make growing herbs at home easy so that you are able to quickly make a big difference to your diet and wellbeing. The healing power of herbs and the added flavour in food make herb garden gifts a caring and useful present that can inspire people to continue gardening. Imagine the convenience of an attractive herb garden in your own kitchen that doesn’t take up much space. You can brew fresh chamomile tea for a relaxing break, pepper your soups with fresh parsley, create a fresh sage mouthwash, flavour your salads with fresh coriander and relieve a headache with sweet marjoram. Herbs have multiple culinary and medical uses and can be used in aromatherapy and to brew fresh herbal teas. With a herb garden kit, there are the usual advantages of a herb container garden. You can move your herb garden into the best position, moving it indoors or outdoors depending on the season. An indoor herb garden is close by, so you can monitor watering requirements and have herbs handy when you want to pick them fresh. Having shopped around and experimented myself, my opinion is that if you’re looking at just a basic herb garden kit there’s not really much value-added. Basic kits usually comprise the pot, growing medium, some seeds and simple instructions. Prices range from $10-$20. Unless you’re giving them as a gift, save yourself the money. It will be much cheaper for you to go to the local nursery, buy a nice pot, a bag of organic soil and a packet of mixed herbs seeds. You’ll probably end up with a more attractive container anyway, and if you’re a haphazard gardener self-watering containers are easy to find. It’s quite easy to get a single pot with 2 or 3 herbs growing on your windowsill. There are growing instructions on the back of the seed packets and you can check for further information online. The soil for the stacking planter isn’t included, but the growing medium for seedlings is.